As a Nikon photographer, it was very new to me to use my camera for videography. Hence it was good to learn from other Nikon users who has been using Nikon camera to do videography. It was a beginner class about videography hence I've learned most of the knowledge that Chin Siang has shared. However, he has taught me the proper work flow for videography and reminded me some of the basic theories that I've some how forgiven; Things that I've learned from DannyOne is the "Three P" (3P) - Plan, Practice, Patience. Danny taught us how not to be shy and be confident in front of the camera. He produced his own music for his vlog and I am impressed with his work as well. My favourite futire cabinet for camera gear, how bout you? A group self-portrait with my Nikon team members after complete our shooting! 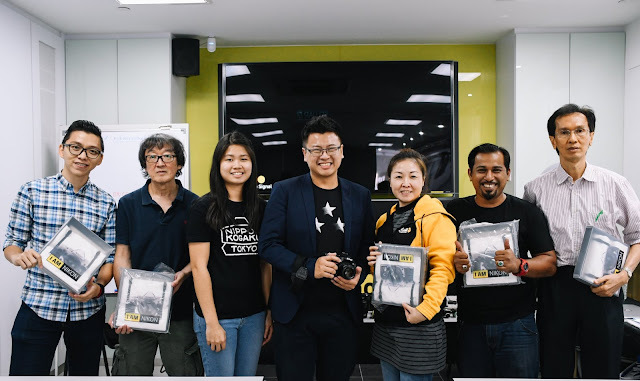 That's all about my experience at Nikon Malaysia's videography workshop. 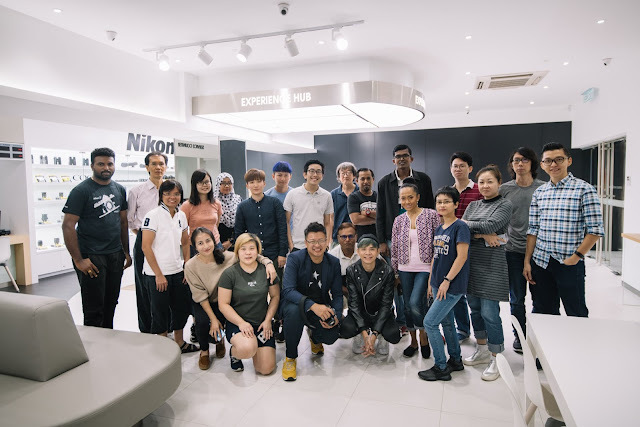 The new revamped Nikon Service Center looks good to me and I really like their cabinet with all the Nikon camera and lenses. Hopefully more good gears coming up soon! If you want to learn more about videography and editing, you can learn more specific skills from YouTube videos. But do remember one important thing, CONTENT IS KING. No matter how good is your camera gear and editing skill, you still need to have good content to make your video stand out okay? Hope this tiny tips help you who are aspired to make video.